This statistic illustrates the penetration of online radio listening among internet users in the United Kingdom from in 2017, broken down by age. 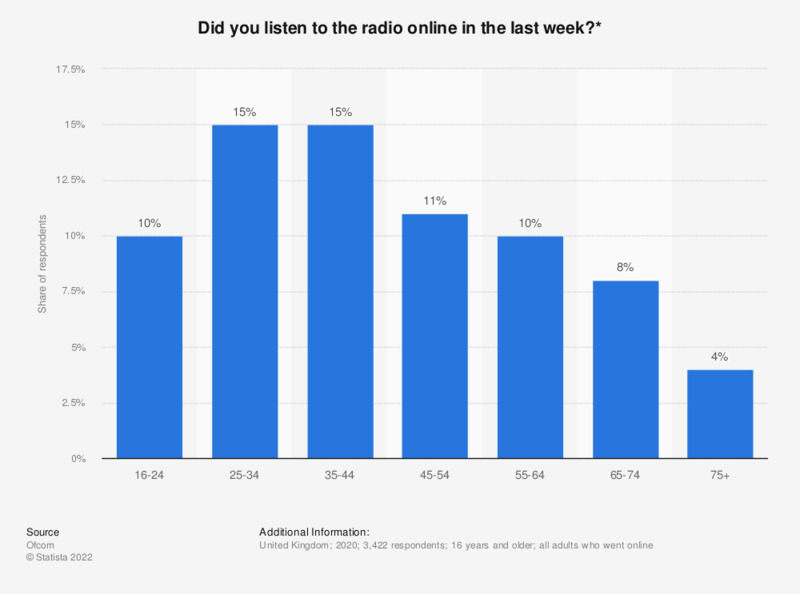 By the end of 2017, 17 percent of respondents aged 16 to 24 reported listening to radio online within the last week. Which, if any, of the following dating websites/apps have you heard of or ever used?